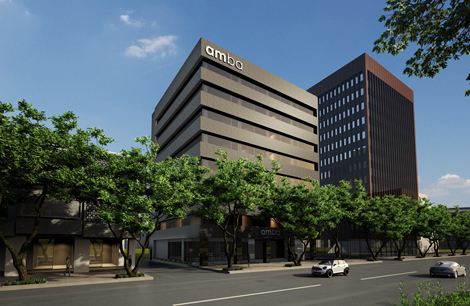 The Ambassador Hotels Group will launch its second Amba property in Taiwan, opening the Amba Taipei Zhongshan in the second quarter of this year. The hotel is located in Taipei’s Zhongshan district, a place undergoing an urban renewal with century-old European architecture mixing with hip restaurants, cultural gems and designer shops. Situated on the Zhongshan North Road, it’s a five-minute walk from Taipei Metro Zhongshan Station, while Taipei Songshan Airport and Taoyuan International Airport are 15 and 40 minutes away by car, respectively. The eight-storey hotel was transformed from a 1970s office building, with the body of the refurbishment being completed in a year and half. The repurposed building not only preserves its historical style, but has also been designed with an innovative and eco-friendly concept. At the entrance, the building’s original vintage aluminium window frames have been turned into urban artwork, covering the outdoor arcade ceiling, entrance walls and lobby. The southern façade of the hotel features a giant pop art mural. 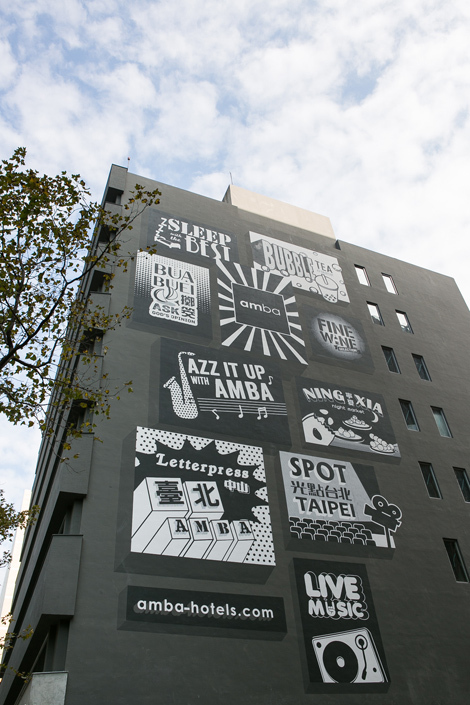 The 30m x 15m graphic depicts some of the city’s famous objects such as Taiwan’s bubble tea and SPOT-Taipei Film House. The eastern wall will be covered in a “living green curtain” formed by plants and flowers. This eco-friendly feature will help to shield rooms from the strong morning sunlight, and keep the rooms naturally cool without having to overuse the air-conditioning. This living curtain also offers privacy for the rooms and balconies, so guests do not need to close the window curtains. In addition, the use of “low-e” glass will also help to minimize ultraviolet and infrared rays from entering the room, while maximising the natural daylight. The hotel has 90 guestrooms in total, ranging from smart rooms to balcony rooms. Free high-speed wifi up to 200 Mbps will be provided for all guests, and on each floor there is also a communal space. There will be one restaurant, though the type of cuisine hasn’t been confirmed yet, and a music and dessert bar that will offer desserts, cocktails and gourmet coffee while guests enjoy an eclectic mix of music. More details about the hotel, including the opening date, will be announced in March. The hotel group will also open its third Amba in Songshan later this year.